I have been given assignment to research on 8 bit games - How they evolve, and what was special about them, What was the favorite 8 bit game of all time. What made it so special. Who really made the first 8 bit game. All in all, everything about 8-bit game. So if you don’t mind giving your suggestions on my thread. This was my first introduction to JRPGs. A far superior game to the early Final Fantasy or even the Dragon Quest games. And it has some nice 3D dungeons. 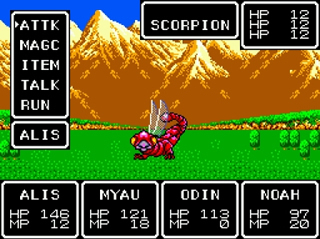 It features turn based battles that had environment based backgrounds, which is quite unique for that time period. Games quite long too. This is a bit esoteric, but might be worth a listen to get an overall feel. (see also the articles on the 1st, 2nd generations to see how we got there). Also, just FYI as it seems to be a common point of confusion, note that 8bit games consoles and 8bit graphics have different meanings. As for favorite 8bit games, I think for me most of my faves are from the 16bit era (SNES), but of course the early Marios, Zeldas and Castlevanias etc… that are still franchises today. I realized that generally people use 8bit and 16bit to refer to consoles, so I’m not sure if you’re also interested in PCs as well. (Going back that far, the definitions get a bit hazy anyway). Imho the first real ‘pc’ as we think of it today was probably an IBM PC/AT which had a 286 processor (16 bit). But there were lots of home computers / micro computers / personal comupters before that that were probably 8bit. Not sure how much they were used for games… probably depends on the type. (Seems like Apple 1s and 2s, BBC micros, Commodore 64s etc… all had 8bit cpus. 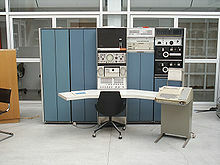 https://en.wikipedia.org/wiki/MOS_Technology_6502#Computers_and_games ). Chuckie Egg, Elite, Thrust, Repton, and probably Exile as my fave. Wow, that’s very old. I remember when Sega came with this game in 1987. It was a big bang in Japanese RPG gaming industries. Recently, IT has been launched for switch I guess in 2018? Oh my god. I was looking for something like. It has got very researched points. This document will definitely be the solid pillar of my future research. Thank you so much. Appreciate your help. Konami words are so genuine. I love it overall, but is there any other episodes of this? My favourite 8 bit game has experienced quite the revival in the last two years, Wonder Boy III: the Dragon’s Trap. Not to be confused with the other, worse Wonder Boy III. There’s the remake for PC and most consoles, which just drops the III, and Monster Boy and the Cursed Kingdom, also on PC and most consoles, which is honestly even better - it’s a full on spiritual sequel or re-envisioning. Well you did ask for peoples favorite 8-bit games. So of course your going to get super old games get mentioned . My first computer was a Commodore 64, which came with a bunch of movie tie-in games published by Ocean. Platoon, Great Escape, Top Gun, Miami Vice, and I forget what else. There are a lot of games I’ve forgotten, but what sticks in my head are Creature 1 and 2 (especially 2, with it’s super cute torture levels, where you have to free a fellow critter from some awful situation) and Mercenary, which was a fully 3D (albeit wireframe) open world, with secrets, various vehicles and aircraft, interior and exterior exploration… very far ahead of it’s time. I also remember games taking 10 minutes to load from a cassette tape. A few games had little games you could play as you loaded, including a rather good version of Space Invaders. First arcades, C64, Spectrum, etc games and all had a lot of personality because of that back background. The technical limitation created an aesthetic. Some genres take time to have the shape we know today, but arcade platformers were basically defined at the beginning of the microcomputer era. You can say “Knight Lore”, but the use of objects mixed with different screens and maze was everywhere as a game design. The Metroidvania design was “just” a refinement of this. Ultima and Wizardry games are the parents of ALL the crpgs and jrpgs. Crpgs and Jrpgs are not that differnt. Adventure games were basically defined in the 70s with Colossal Adventure, and Zork already had most of its tropes. The first first person adventure game were Deja Vu and Portopia while Sierra was doing King’s Quest and making things easier for the player. We all pirated like mad. Of course anyone had one or two original copies, or even more (it was great to have your casette with your manual and all) but pirate copies were everywhere. As an observation, there were more female characters, and varied characters in general to control. I mean, in Cauldron you control and old lady (yeah, a witch, whatever, old lady). That could cause a heart attack on most of nowadays producers. Spectrum owners and Commodore 64 owners had a feud about “which one is better” that still resounds nowadays. Basically C64 had better hardware, but generally lower resolution to allow that amazing scroll. The Spectrum 48K machine was a piece of unstable crap, and the keyboard broke all the time. And it overheated, and broke, and broke again. I got a +2A in 1990, a one year and a half before I got my first 386. Bloody hell, the last games of the Spectrum were released at the same time as the first smash hits in CD Rom. Going back to the personal, everyone had its own microcomputer. I remember evenings sitting around spectrum games in my home, friends’ home, or anyone that I did not know home. If that neighbour didn’t get (steal) my bicycle from my front yard and left it abandoned somewhere, and if my mother didn’t take the money for compensation and didn’t spend it on something else, I wouldn’t have played that much. It’s always the mothers, always. I remember taking the play time in school to talk about spectrum games, strategies, and all. Later, that was replaced by pc games. Also, the traffic of cassettes. My favourite game for Spectrum is among the last ones I played: Graftgold’s “Soldier of Fortune”. It’s just beautifully designed. If you were able to get to the end of a Spectrum game, you felt cheated. Games were supposed to be super mega difficult. Slowdowns were all over the place in the Spectrum. Look at youtubes from Alien 8 or Knight Lore. Cheats in games were usually “pokes” (a tweak in a memory adress). Pokes, for us, were a magic word, an open sesame for games, and they were treated like that. Don’t trust any opinion on “what is your favourite game” on Spectrum. Many people have defended Jet Set Willy to death, when it is a game that was impossible to beat because of bugs. Unpopular opinion: Ultimate games were groundbreaking, but just not very good. Filmation got much better when Jon Ritman released Batman and Head Over Heels. Underwurlde is just a piece of crap. Jet Pac and Atic Atac are wonderful, though. The loading schemes were seen as demos, as pieces of wonderful technology that showed us what the future would look like. I always got excited when seeing the words “Graftgold”, “Firebird” or, ok, “Ocean” in games. Unpopular opinion2: 80s are considered “the golden age of Spanish software” but it only was on production and sales. Quality was not really up to British standards. In any case, it was seen as a threat to the British industry, and games were punished in magazines sometimes in a really weird way as it happened with “Ole Toro”. I learnt how to play the “Gyroscope” tunes on the piano. Superb trip down memory lane @Risingson!! One hasn’t lived unless they spent time adjusting the cassette player’s volume to try to load a game successfully on ZX Spectrum+! That first Batman game was incredible! Platoon, too! A surprising number of Spectrum games were basically unbeatable, either because of difficulty or bugs. A lot of them were actually really short, but you never new that as you spent most of your time on the first level/screen. IMHO the best Spectrum game was Space Invaders. But I have a big soft spot for Crystal Castles. We used to have to fiddle with the cables and connectors too, and balance books under them to get them at just the right angle. Because the Spectrum used a TV, you couldn’t have it set up permanently. Basically, if we took it out and set it up and actually managed to get a game to load then we had to leave the whole setup (spectrum, tape player, cables, books, etc…) on the floor for several days and don’t touch it!!! play as many games as possible before someone inevitably kicked a cable and it became impossible to play again. 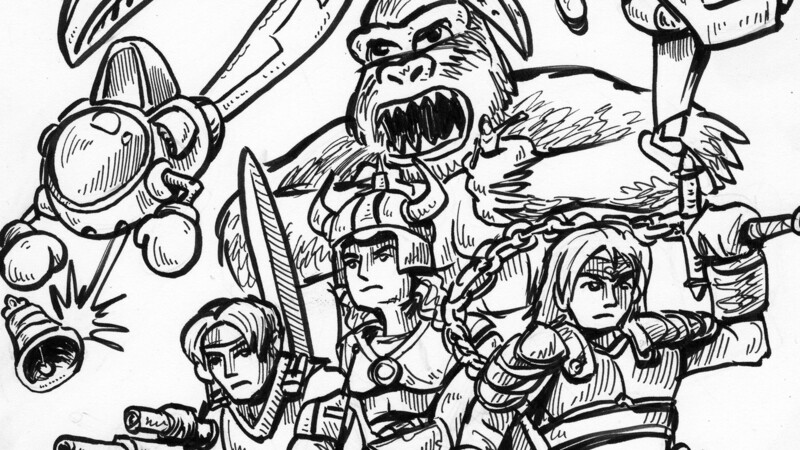 Final fantasy 1 played an enormous part in creating what’s now an enormous genre, JRPGs. It’s still fun to play but has very much dated. Random battles felt new and exciting, now they tend to be avoided as feeling frustratingly arbitrary. A world to explore with since freedoms and a genuine (awful) story. Strategic combat that is considered far too slow for modern triple A but I reckon still holds up not too badly. The main thing about 8-bit for me is challenge and timing. There was no hand holding and games lasted long largely because you died a lot. You also had to work for almost everything, no quick saving. As a student I loathed these changes but as a busy adult i like convenience mixed with challenge. Roguelikes are a small continuing niche that I think retains this spirit very well. Design philosophy for that age tended to be tied to coin’op sensibilities, which were the reference for a large portion of the games being produced, while of course there were also many examples of games that did completely different stuff, I don’t know, Elite? For coin’ops it was a good thing that games were super hard so they: 1) could eat a ton of coins 2) last longer on the market. @Risingson 's point about everybody pirating and pokes reminds me how much it mattered that all this stuff was pre-Internet. Your spectrum (pun not intended?) of gaming depended on who you knew. So and so had a brother who had a job and bought all the games, and if you could persuade so and so to get you some tapes you could copy them (which wouldn’t work right half the time). There were no manuals for pirated games and nothing had a tutorial, so learning to play the more complex games could be tough, unless you knew someone who could tell you the tricks. Cheats and other stuff was passed around on scraps of paper. Someone would buy a magazine (I loved Zzap! 64) and information from that would get shared around. This reminded me of that post of John’s, his father’s friend, Ted? Also reminded me of the copy protection schemes on those LucasFilms games. This went on to my first PC era. I mean, we all had F29 Retaliator and most of the people did not play it that much because the missions were detailed in the manual, as well as how to land. But I digress. If you haven’t stayed in a room basically breathing very quiet so the game loaded without tape errors, you are not an 80s kid. I tell you: zero nostalgia for that. And as @arathain is saying, gathering info on how to play through the magazines. And yes, waking up at 7 am on Saturdays, before the rest of the family, so I could plug the computer to the TV. Yeah. Nostalgia is easy. There were some great games. But compared to how we have it nowadays it was mostly rubbish. Unreliable equipment. Endless loading. Having to find those good games in a tide of bad or broken ones (no patches!). Most games were brutally difficult, you had limited lives, and there was no saving, so you saw level 1 a whole lot.